Grandchildren are one of the greatest joys of life. To see your children have their own children enriches your life and brings laughter and love that you may never have anticipated. In turn, the role you play in your grandchild’s life gives them another adult to look up to and love. Being a grandparent is similar to parenting, with a few major differences. In general, you don’t have all of the responsibilities of a parent, such as getting them to bed on time, taking them to school every day, or enforcing all the rules. Because grandparents are the sole rule enforcers, they can often have more fun with their grandchildren than a parent can. That being said, the role of a grandparent varies, and a lot of it depends on distance, how often you get to see your grandchildren, and how old they are. Regardless of these factors, you want to form as strong of a relationship with them as possible. With this in mind, we have created a list of ways you can bond with your grandchildren. 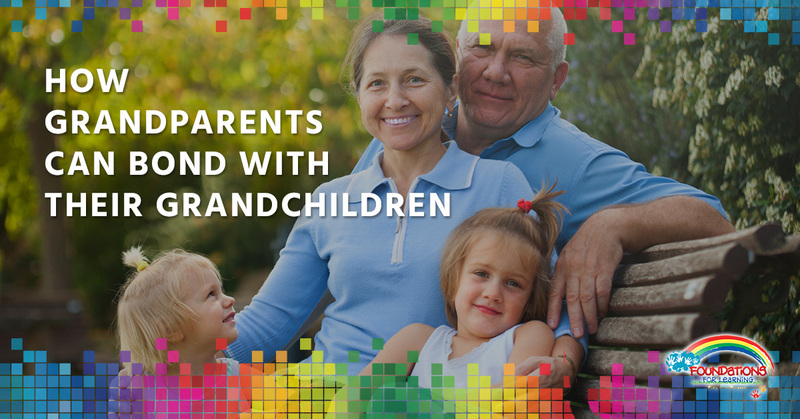 Many grandparents live across the country from their grandchildren, but that doesn’t mean they can’t have a strong relationship. Here are some tips for keeping in touch long distance. Video chatting. These days, technology is enabling us to stay more connected than ever. There are a variety of applications you can use to video chat, including FaceTime and Skype. This allows you to talk to your grandchildren face-to-face, even if you’re thousands of miles away. Postcards. Are you traveling a lot in your retirement? Your grandchild is sure to appreciate postcards from your various destinations. They may even compile a photo album to keep all those treasured memories for years to come. Read a book on video. If your grandchild has a favorite book, you can have the opportunity to read to them whenever they like. Record a video of you reading it to them that their parents can play for them at bedtime, or whenever they miss you. When you are with your grandchild, there are many ways you can deepen the relationship. Let them decide. Much of childhood involves being told what to do. Give your grandchild the opportunity to take the reins (within reason, of course). Let them decide what games to play, where you should go out to lunch, and just generally how they wish to spend time with you. This builds trust and affection. Cook together. Food brings people together, which is why most every party you’ve attended has at least a cheese plate. Cooking is a wonderful way to bond with your grandchild and gives them skills they will use for a lifetime. Make a special family recipe or your grandchild’s favorite food. At Foundations for Learning, we understand that your grandchild is important to you. We love having the opportunity to watch little ones grow and thrive, just like you. If you are looking for a preschool in South Windsor, we would love to be your first choice. Contact us to tour our facility!